Madrid is already humiliated by anyone. Play on a Monday, as an opening act, with the laughter of Tebas, those of the League, the Leganés, with its horrible game, its terrible ambition. "Please"
Madrid is already humiliated by anyone. 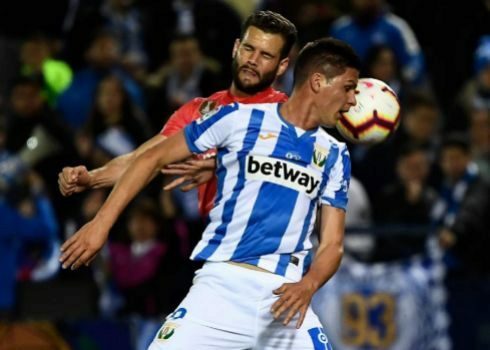 Play on a Monday, as an opening act , with the laughter of Tebas , those of the League, the Leganés, with its horrible game, its terrible ambition. "Please," a good Madridista told me, "to end this nightmare as soon as possible." The worst white season in many years. The Madrid of Zidane is a continuous horror. As was Zidane's in the previous season, such as Lopetegui's Madrid or Solari's . It is a system that fails in all its coordinates. With Zidane the whole team played for Ronaldo to score goals. I did them, but the results were disastrous. One can not forget how Zidane's last season was. With that penalty dreamed of Juve, the anguish with Bayern and a final resolution with Ramos before Salah . And how his hated Bale saved his neck. We already know that Bale, Kroos , Reguilón and Ceballos are the damn ones of the technician. Zidane no longer dissimulates and knows the Real Madrid where he starts his ridiculous clean . It seems surreal, incredible that Zidane thinks that he builds a future, a new face, with an Isco that looks like a single player against married, out of weight and useless; with a vulgar Valverde , with Asensio who does not score in the league for more than half a year, with a Marcelo who wants to go to Turin and, finally, with his star Benzema, who could only score the second shot and when Cuéllar He has given it to him, while he is never in the area. It is nonsense to believe in Zidane as an architect of an exemplary project. They're crazy in the White House. His return has been the ink of Florentino Perez's octopus to put out the shouts of resignation. A smokescreen, because Zidane, of all the coaches, was the only one who can not make a revolution. Too many hostages in his head. Only a coach who did not personally know the squad could work a miracle, supported by theirs, more Hazard , Pogba and Eriksen as resources of an impossible. It seems pathetic and once again convinces me that Zidane is just a public relations dresser. As a technician, as a set creator, it is a disaster. There was more to see Pellegrino how with players without a name, without resources, he has built a team that looked like a strong, orderly, capable team, before the ignominious madridista of a slow game, predictable, at the foot, without any tactical boasting. A shame, despite the scandalous superiority of quality in its players. It is a farce that Zidane is a talisman. He has no idea about creating a team. It was pathetic to see the end of the game, with a Leganés who was bleeding from the effort and did not receive a single goal. Of course, with the cleverness of Zidane, the changes he used to put Lucas Vázquez on the far left and, finally, in a display of personal intoxication, with Bale on the right side. All a genius this Zidane.